The American and English Paul Casey will play the title on Monday after the day had to be postponed due to lack of light. Rafa Cabrera was 22º. 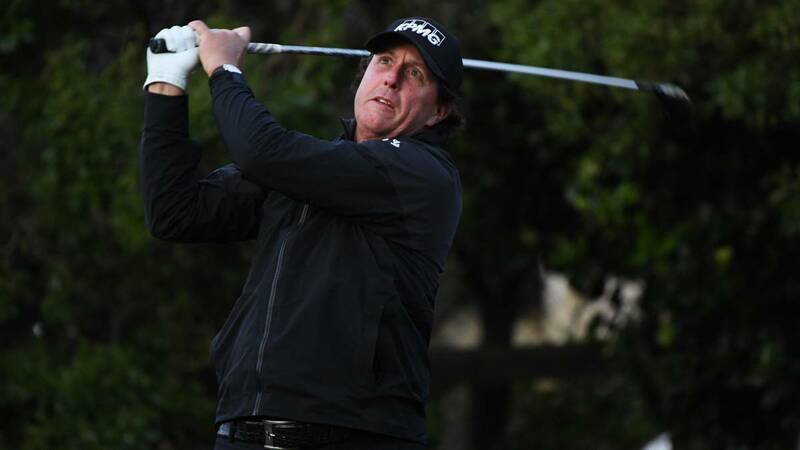 Californian Phil Mickelson leads the AT & T Pebble Beach Pro Am tournament by three strokes, whose last round has been suspended for lack of light when only he and the Englishman Paul Casey, who is second, remain to complete the championship. A Mickelson he has two holes left, and Casey to finish the 16th, which would finish at the same time, and complete the next two. In this way, Mickelson has everything in his favor to take this tournament for the fifth time - he won it in 1998, 2005, 2007 and 2012- and add his victory number 44 in the American circuit, the last in March, the WGC-Mexic Championship. The American, who scored six birdies today, has made no mistakes and has benefited from Casey , who did not risk and tried to keep the advantage of 3 hits that he amassed yesterday on the American, but that vanished by the successes of the first and after scoring until now s birdies by two bogeys. With Casey is the American Scott Stallings, who finished with 272 shots after signing today his best day in the championship, with 66 hits. A five strokes of Mickelson, in fourth position, concluded the Australian Jason Day and South Korean Si Woo Kim, both today with 68 strokes. The Spaniard Rafa Cabrera Bello had a performance to forget and ended with 74 strokes, two above par. The Gran Canaria made three doublebogey - holes 7, 14 and 18- and a bogey for five birdies, which overshadowed an outstanding performance throughout the championship to finish seventeen second.